After calculating commissions, the General Ledger is Debited and Credited to the appropriate accounts in Frazer's Chart of Accounts. A convenient way to see which accounts were affected is to click on button located at top of a specific customer's Customer Activity screen. 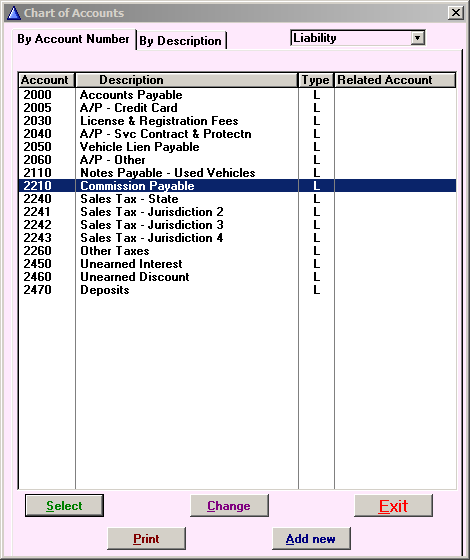 The General Ledger shows a debit in Account 8020, Commissions. Account 2210, Commission Payable, is credited. To record payment of commissions, go to Accounting >> A - Enter Bills and Hand Printed Checks. 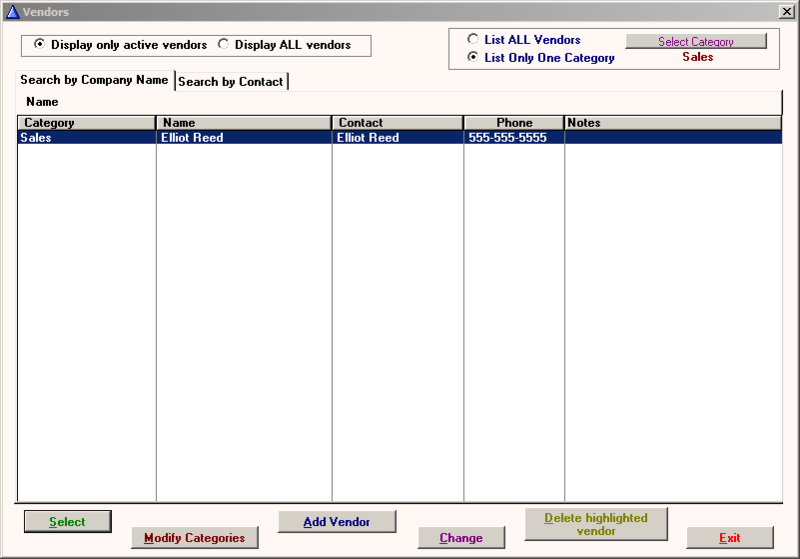 Highlight the salesman, entered as a vendor, and click on . The selected salesman will now appear as the Vendor. Enter the Date of the bill, the Date Due and the Amount. Invoice/Reference # and Memo on Check may also have information entered. Under What is this bill for? 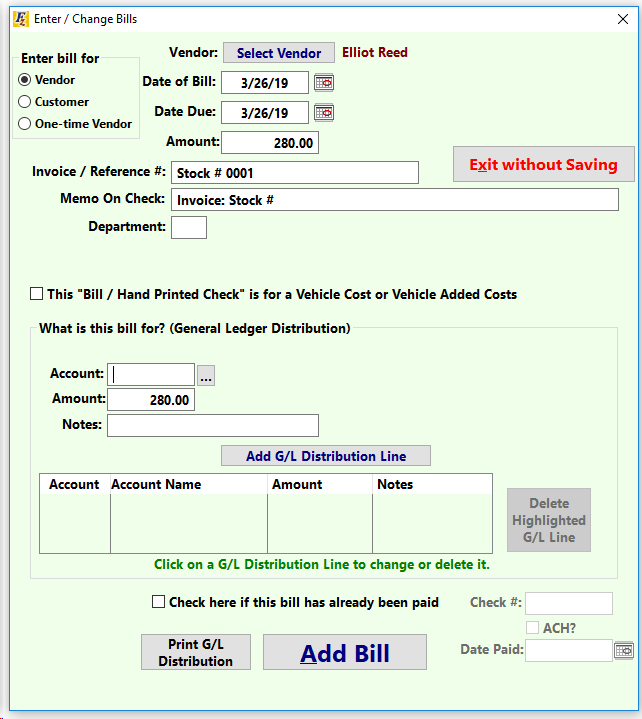 (General Ledger Distribution), click on . Choose Liability as the account type and highlight account 2210, Commission Payable. Double click or click on . The G/L Distribution Line will show the amount of the commission and the account chosen. 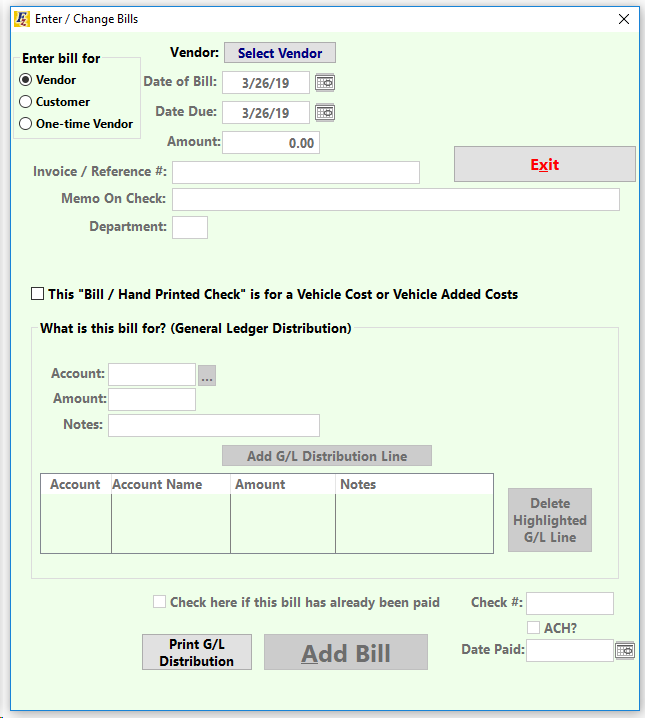 If the commission has already been paid to the salesman through a handwritten check (one created outside of Frazer), then check the box next to Check here if this bill has already been paid and enter the Check #. Then click . 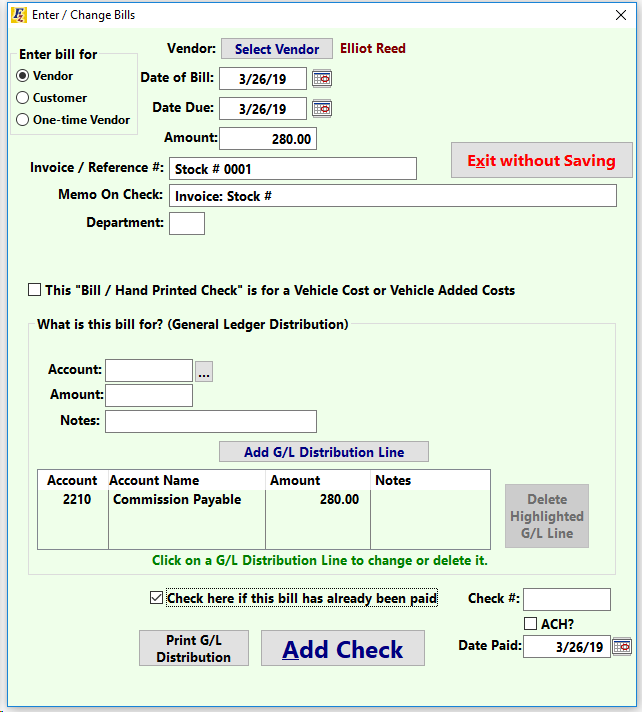 After the check has been added, the General Ledger shows the transactions for the bill as 2000 Accounts Payable credited and 2210 Commission Payable debited. The transactions for the check itself show 1000 Cash in Bank credited and 2000 Accounts Payable debited. If a check to pay for the commission is to be printed from Frazer directly, do NOT check the box next to Check here if this bill has already been paid. Instead, click on . Go to Accounting >> B - Print Checks or Change and Review Open Bills to print the check from Frazer. See Pay Bills or Print Checks. 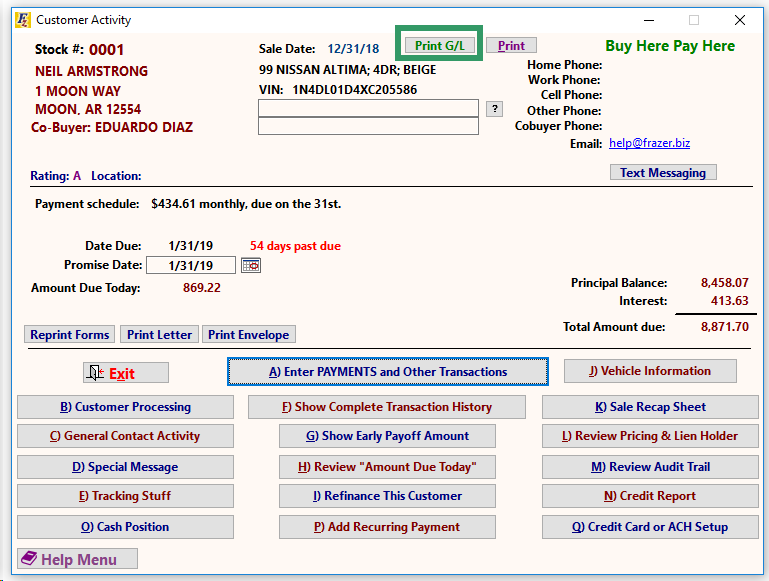 After the check is printed, the General Ledger will record a debit for 2000 Accounts Payable and a credit for 1000 Cash in Bank.